My new favourite animal is the Grevy zebra. It is the Maserati of the horse family: a rare thoroughbred with elegant lines and a muscular poise which distinguish it from the more common Burchell’s zebra. The only significant population is in Northern Kenya where I have recently spent a couple of wonderful weeks. 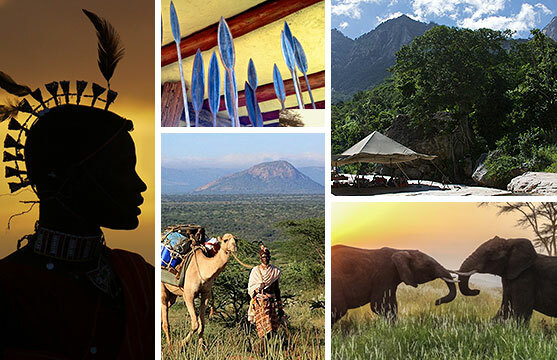 I have been lucky enough to visit sub-Saharan Africa on at least fifty occasions and I think I have to come out and say publically that of all the countries I have visited Kenya is my particular favourite. Sadly for Kenya it gets lots of bad press; some is justified, but then Nairobi does happen to have a huge number of journalists to keep busy. In fact Kenya is undergoing an industrial revolution, and venture capitalists are pouring large sums into the economy. Property prices in Nairobi have soared. There is a strange juxtaposition of a thriving economy and the lower number of tourists visiting. We drove up the Great Rift Valley to an original 1930s ranch house on Lake Naivasha. The early pioneers always got the best locations, and the view across the shimmering lake framed by a half dozen majestic fig trees was perfect, whilst the dawn chorus was magical. We moved farther north on a vast cattle ranch teeming with game owned by one of Kenya’s oldest families. Our simple but imaginatively styled rooms at Suyian were open to the elements. We were connected to the bush sounds all around us. 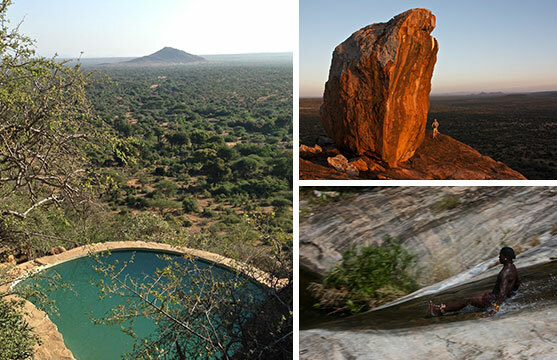 We enjoyed listening to stories from the old days, swam in the Ewaso Narok river, learnt all sorts of botanic secrets, clambered up huge rock inselbergs, and got so carried away by our explorations that we had to have a moon riser rather than the traditional sun downer at the end of the day. Kenya has a tradition of bush flying. In the 1950s a former spitfire pilot set up one of the aviation companies that still flies out of Wilson Airport in Nairobi. The pilot who usually flies me used to fly by instinct – a real bush pilot. Nowadays he has the back up of sophisticated GPS equipment. Still, many bush strips are kept mown by grazing gazelles, and those zebra do need a little encouragement from the plane to move off pre-landing. Viewing animals from the air is all part of the safari experience. How often have you heard a pilot tell you that there are some elephant in the shade of that acacia tree down on the left? We flew farther east and north to the Mathews Range at 500 feet above ground, spotting more game and marvelling at the stunning scenery. Back on the ground we climbed into these hills with Samburu warriors and a train of camels which was carrying our fly-camp for the night. Our walk the next day took us to what seemed like the top of the world with the sacred mountain Ol Olokwe in the distance and a vast expanse of untrammelled African scenery beneath us. As we descended green-winged pytilia darted amongst the cycas trees, crowned hornbills were feeding on euphorbia fruits, and we saw the flash of emerald cuckoos dashing about in the tree canopy, listening to each other’s sweet whistling calls. At the fly-camp I slid rather too fast down steep rocks into clear pools below; the warriors were particularly keen on showing me how acrobatic they were at this very cool activity. Farther down in the dry river luggas we watched the Samburu herdsmen drawing water from wells and listened to their rhythmic singing. 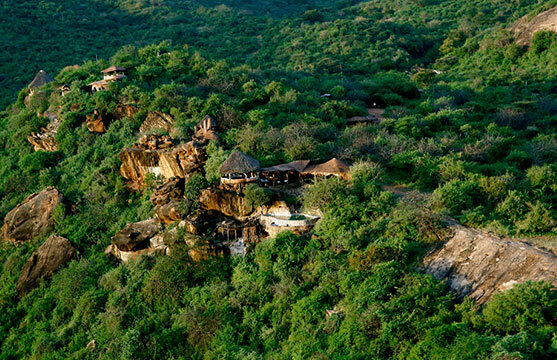 After some prolific game viewing at the brilliant Lewa Reserve including some wild dog interacting with Grevy’s zebra we chilled out at Tassia, a community owned eco-lodge perched on top of a rocky bluff with yet another awesome vista. Antonia Hall is an inspirational cook and the perfect hostess. We used this place as an alternative to the coast: lazing by the pool, having massages with the calming sounds of the bush around us, going on gentle walks in the bush, checking out their raptor rehabilitation programme and indulging in a little more sporting activity in the form of Maasi-inspired Olympic trials along a dry river bed. Kenya really does deliver a special holiday.